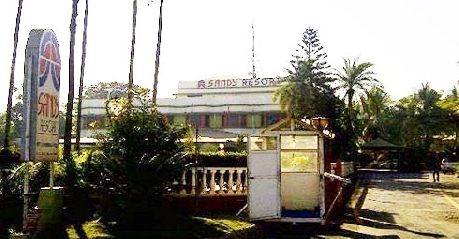 Sandy resort is a sprawling hotel located in the peaceful beach town of Daman & Diu. Relax and rejoice in the beauty that catches the eye when one enters this hotel. Be prepared for some luxurious and fun times as this hotel suits both a business and a leisure traveler. 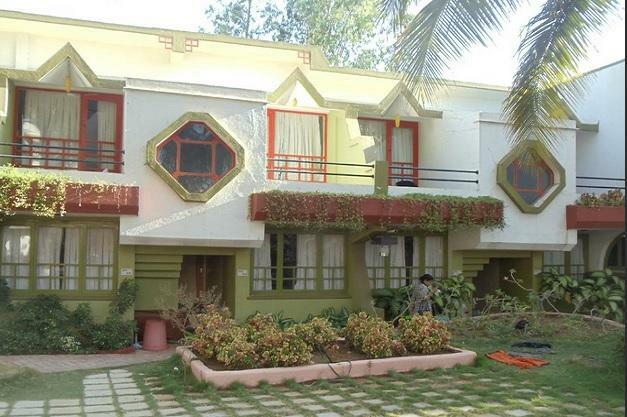 The hotel lies in close proximity to Devka Beach (1.8 Km), Our Lady of the Sea Church (5Km), Fort of Moti Daman (7.7Km) and Pargola Garden (8km), 3kms from the airport and 16 Kms from the railway station. 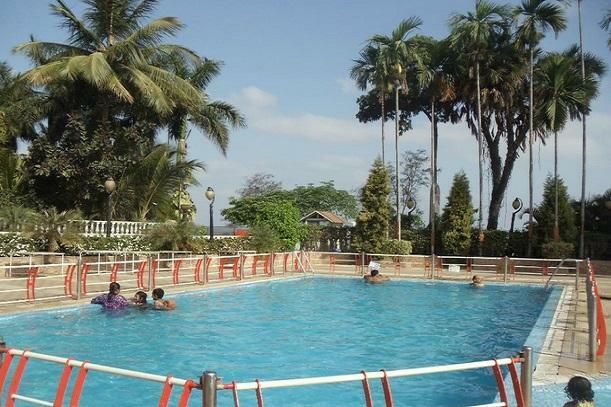 The hotel has a host of recreational activities like a swimming pool and a children’s play area. The hotel can make your dream wedding possible with its 25000 sq ft. part lawn. Conferences can be easily organized with the efficient staff and the conference halls present on premises. Other services offered include a doctor-on-call, laundry services, parking on site. The hotel has 46 well furnished rooms that tastefully done categorized into Suites, Executive rooms, super deluxe and deluxe rooms. 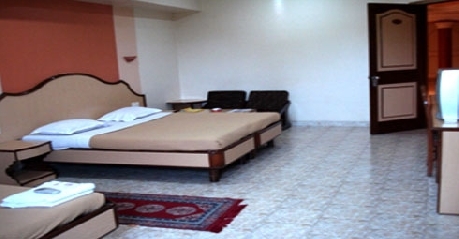 All the rooms are air-conditioned and come with room service.The hotel has a multi-cuisine restaurant on premises. Suites offer exhilarating views of the manicured lawns through the spacious balconies that lets in the refreshing air. 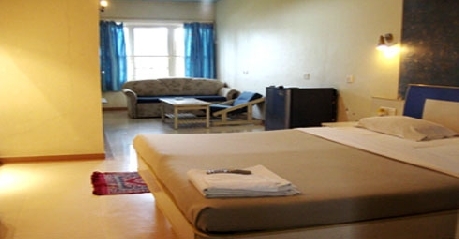 The Suite is well furnished with a large double bed, wardrobe and sofa. The interior is chic and stylish that is sure to suit most tastes. The services offered include cable T.V, complimentary water bottle, telephone, toothbrush/razor (on request) and temperature control. 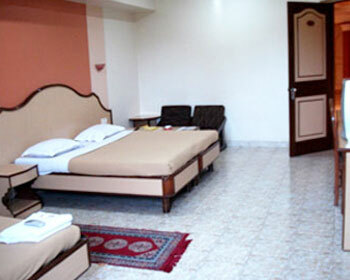 The guests can access the internet via Wi-Fi offered at a surcharge. The attached bathroom is fitted with modern fittings. Executive rooms in the hotel are spacious and stylishly designed to appeal to a number of tastes. The room comes with various in-room amenities like telephone, cable T.V, toothbrush/razor (on request), complimentary water bottle and temperature control. You can also connect with clients and friends via Wi-Fi. The attached bathroom is spacious and done modernly. Enter into super deluxe rooms and lose yourself in the comfort and style that is the signature of this room. The interior is done in warm solid colors. The private balcony opens out into a beautiful view of the surroundings and the distant sea. The in-room amenities offered are cable T.V, telephone, toothbrush/razor (on request) and temperature control. The private bathroom is quite spacious and nice. 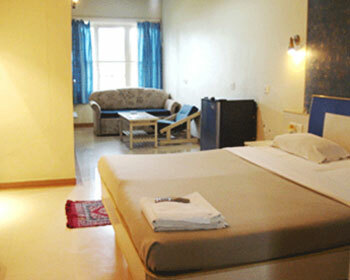 The Deluxe rooms in the hotel are done in contemporary style with soothing colors. 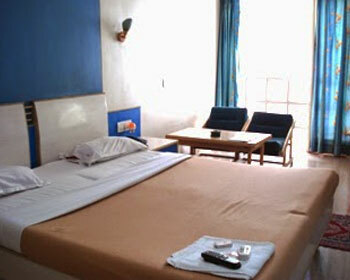 The rooms come in the variance of double beds/twin beds/3 beds. 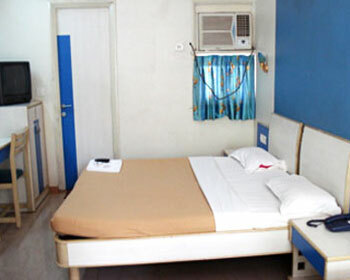 The various amenities offered include temperature control, telephone, cable T.V and toothbrush/razor (on request). The attached bathroom is done with modern fittings to suit popular tastes. The restaurant in the hotel serves Mughlai, Continental, Chinese, Punjabi and seafood. The food is prepared with the freshest of ingredients chosen with the utmost delicacy to suit every man’s taste. Be prepared to savor the delicious aromas and the delectable food alongside views of the gardens and the prompt service offered. The hotel has an in-house bar. The bar comes well-stocked with foreign and Indian liquor to prepare unique concoctions for you. Try your usual drink or let the bartender surprise you with his.